Vintage Greece: Sunday May 15 was a bizarre day here in Toronto, bringing us weather from all four seasons in less than 24 hours — snow flurries, sleet, rain, high winds and occasional breaks of sunshine. But it was nice and toasty inside a special events hall at the Royal Ontario Museum, where hundreds of people got to enjoy a taste of Greece for a few hours and forget they were actually in chilly Toronto. The event was Taste of Greece: Brilliant Wines, Inspiring Food, Timeless Culture, and featured hundreds of product tastings offered by nearly 50 different wineries from all over Greece. Taste of Greece took place at a perfect time for me personally — just two weeks before I fly to Greece for my next holiday — and gave me some inspiration for wines to look for while we are exploring the Peloponnese. 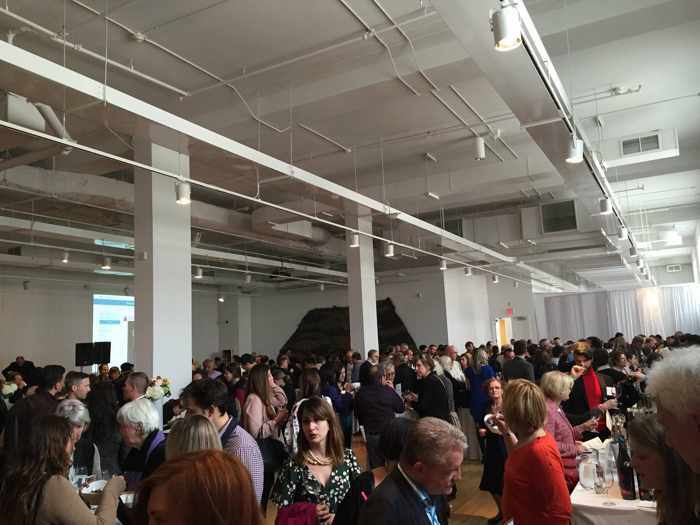 But besides giving me and 500 other people a unique opportunity to sample dozens of Greek wines under one roof, Taste of Greece was providing support for a good cause. Proceeds from the event, which was hosted by WineAlign and presented by New Wines of Greece, will assist the Friends of Boroume charity, a non-profit organization committed to reducing food waste and distributing surplus food to the needy throughout Greece. 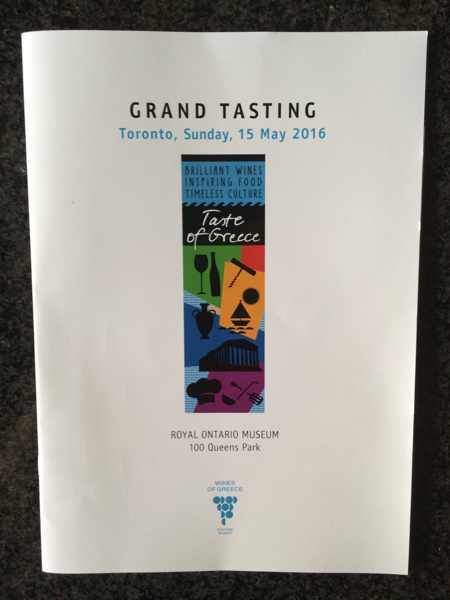 Similar Taste of Greece events also were held in Montreal on May 11 and New York City on May 18. For those of you Down Under, you’ll get your own chance to experience a taste of Greece when New Wines of Greece returns to Australia for the second time in June with events in Sydney, Melbourne and Adelaide. 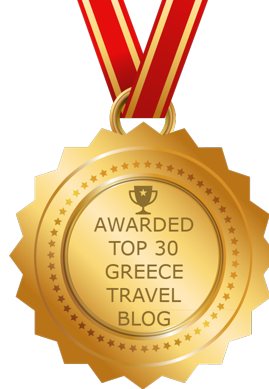 Click here to see details on the New Wines of Greece website. 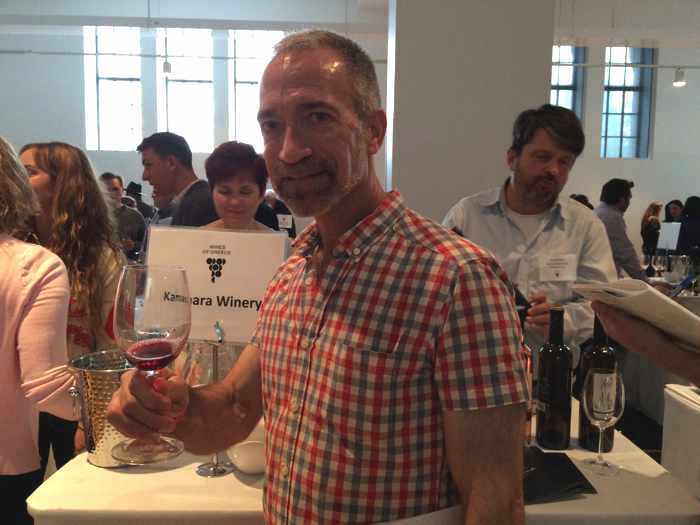 The Toronto wine tasting was one of 3 Taste of Greece events in North America this month — the other two took place in Montreal and New York City. Similar events will be held in Australia in June.